Tel Aviv’s “White City” is a breathtaking UNESCO World Heritage Site. It has been reclaimed so because of its unique collection of Bauhaus architecture. Bauhaus Center Tel Aviv is the city’s center for exploring, learning and experiencing this marvellous piece of culture. WE KNOW TEL AVIV. YOU GET TO KNOW IT TOO. Join a guided tour, or pick up our Audio Guide at the center. 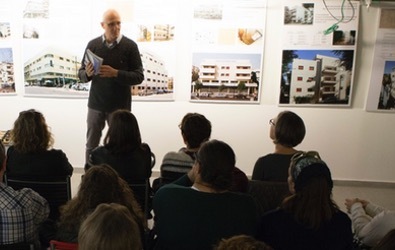 We are Tel Aviv’s original Bauhaus Center offering White City Tours in 7 languages. Find out more and get in touch! We host a permanent Bauhaus exhibition and changing architecture, design and art show (free entry for all). Check our Gallery Section to see what’s on. 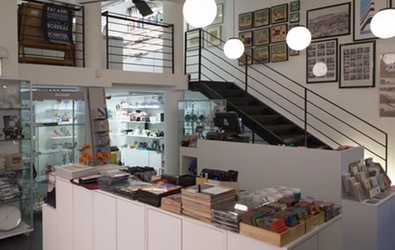 In our Bauhaus Book & Design Shop we offer a wide selection of products, from vintage posters to our Bauhaus Center books. Find our most popular items also here in our Online Shop. Our tour is the best way to understand the virtues of Tel Aviv’s unparalleled architecture and urban landscape. We offer most professional tours in numerous languages by expert guides, together with the Israeli National Committee for UNESCO. More than 50,000 people have enjoyed our tours in the past 20 years. We also provide audio guides for walking tours in seven languages. All our tours start with our comprehensive Bauhaus Center Movie. 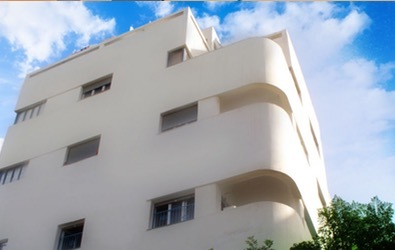 Our Weekly Bauhaus Tour starts every Friday at 10:00 at the Bauhaus Center (Dizengoff Street 77, Tel Aviv). 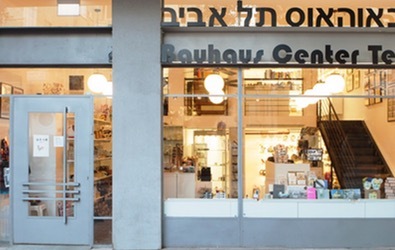 The Bauhaus Center Tel Aviv was established in 2000. Its goal is to expand public recognition of the “White City” as a unique architectural and cultural site. The center holds a gallery with a permanent collection and changing exhibitions, conducts tours of the city and publishes books dedicated to the subject. 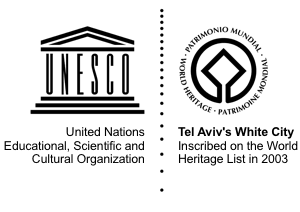 We cooperate with UNESCO, the municipality of Tel Aviv-Yafo and institutions, museums and galleries world-wide. Exhibitions of the Bauhaus Center have travelled the world, and the center has been featured extensively in media reports and travel literature. 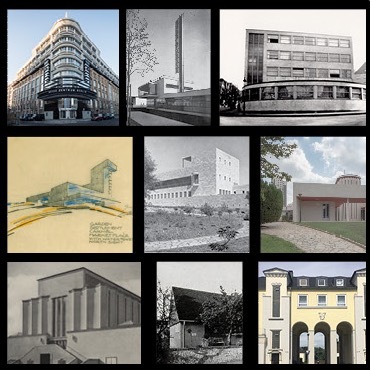 Josef Rings and Erich Mendelsohn: New Building in Germany and Mandatory Palestine. On occasion of Bauhaus100 this exhibition explores the works an lives of two leading exponents of Modernism in Germany, and later in exile in Mandatory Palestine. This show is a part of the Bauhaus100 centenary. 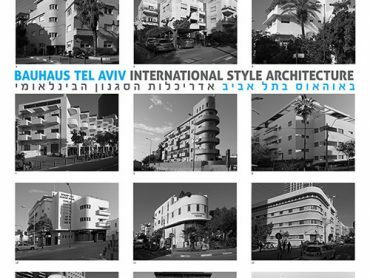 Discover this White City architecture-exhibition now in the Bauhaus Center Tel Aviv (until March 30). 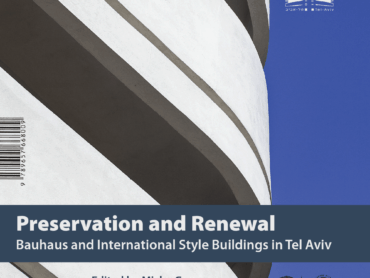 Our permanent exhibition Preservation And Renewal: Bauhaus And International Style Buildings In Tel Aviv displays color photographs of recently renovated buildings in the White City alongside historic photographs and architectural plans. Our classic Bauhaus Center exhibition has travelled around the world. 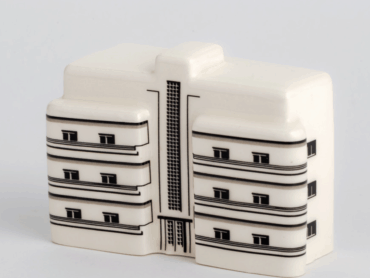 See it in our gallery (free entry), as an ideal complement to our guided Bauhaus Movie & Tour.